Prima Donna is the unique specialty cheese for anyone who enjoys the Italian way of life. The unique combination of the wonderful flavor of Parmesan and traditional Dutch cheese describes this exclusive cheese. 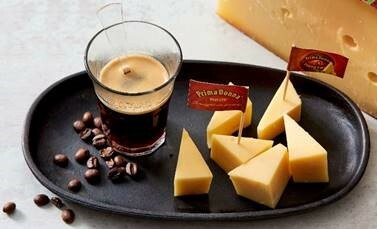 Coffee and cheese: an amazing pair!